FORT BRAGG, North Carolina (WTVD) -- A 26-year old Fort Bragg soldier died at the University of North Carolina-Chapel Hill Medical Center because of complications from a brief illness. 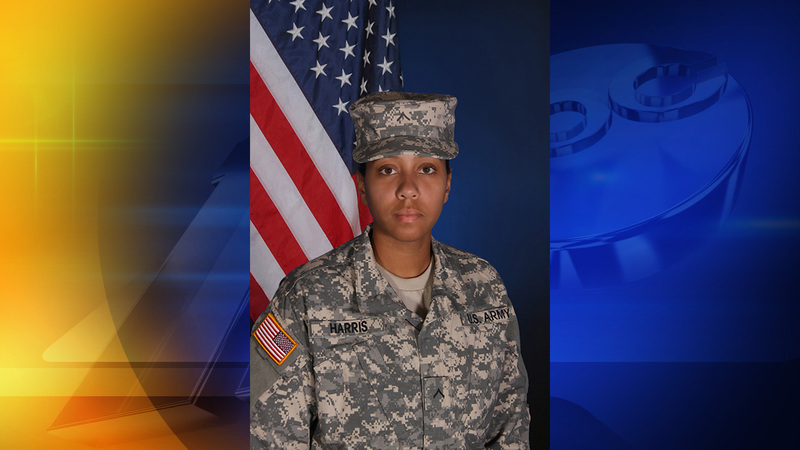 Officials said Specialist Ciara L. Harris, of Newport News, Virginia, died Thursday. Officials did not release any additional information about her illness. "Spc. Harris' contributions to the Army as a Signal Soldier were incomparable due to her hard work ethic, intellect, and dedication to the mission and fellow Soldiers," said Capt. Kevin Spencer, the commander of the 206th Signal Company. "Her leadership, caring attitude and friendship will surely be missed in our formation. We will continue to keep Spc. Harris' Family, friends and Soldiers of 188th Brigade Support Battalion in our thoughts and prayers during this time of mourning." Harris was assigned to the 206th Signal Company, 188th Brigade Support Battalion at Fort Bragg. Harris earned multiple awards, including the Army Commendation Medal, Army Achievement Medal, Good Conduct Medal, National Defense Service Medal, and the Global War on Terrorism Service Medal.